Getting Crafty with Jamie: Advertise!! I do love that older movie (Disney?) Newsies! One summer my family and I watched it over n over, we could (and did) quote this great movie. Many big actors came out of it, too! 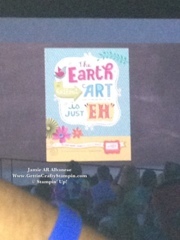 So I was soooo very excited to see the new Advertising Campaign that Stampin' Up! Is doing. See these ads and where they will be! If you see it, let me know and receive a Free Prize!! Now, back in the day, the only advertising was by word of mouth! Eek! 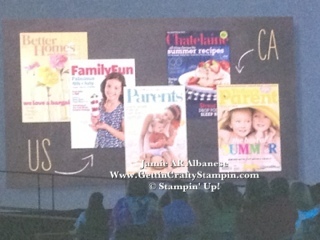 We talk less and less these days and I realize that I am not telling enough people about my Stampin' and the amazing products we offer! Hmmm, don't be surprised if you hear about it, more often, now. What do you think of these ads and where you may see them?? Let me know! Oh, want a special goodie?? For every friend you refer to me you can earn a Frequent Buyer Point! Whoot! Whoot! They add up and quickly, so don't miss out!